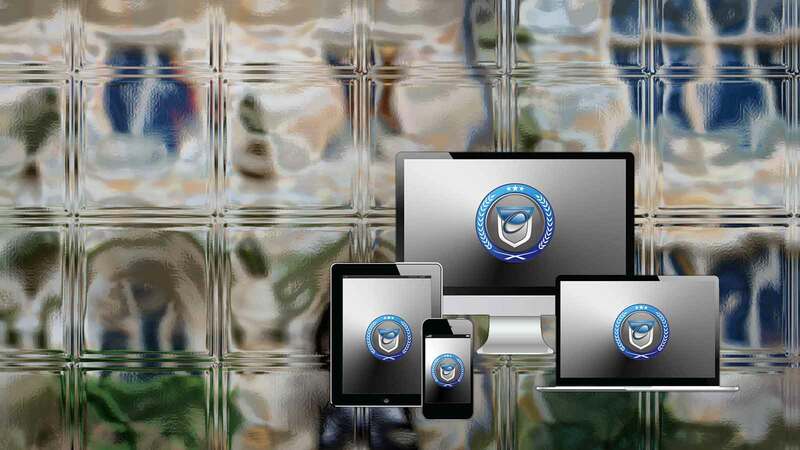 Access expert hotline consulting. Get fast answers to your urgent admission questions. Expert Essay brainstorming & crafting, discussion of best fit colleges, etc. How to best develop and present your talents: from theater, music, art, dance, and, journalism to athletics, debate, science research/poster display, engineering, entrepreneurship, intellectual endeavors and social entrepreneurship—all in a way that makes you pop off the application page and grab the attention of Admissions. Strategy for creating the most interesting high school curriculum for your authentic gifts; best test prep; summer programs; and competitions and scholarships in your fields of interest. You have the grades. You have the scores. But do you have Dr. B to ensure admittance to your dream schools? Your essay and application worries are OVER. Every one of your questions will be answered throughout the year on demand via email or phone Personally by our CEO (Dr. Bedor, Ivy League graduate, phi beta kappa with 25+ years of experience serving a high profile international clientele). All your essays brainstormed and facilitated Exclusively by our CEO. Plus everything involved in the BigIdeaConsult, crafted and followed up on with meticulous attention to detail throughout the retainer period (including how to write demonstrated interest letters to your admission officers). National scholarship applications completed with you Personally by our CEO. 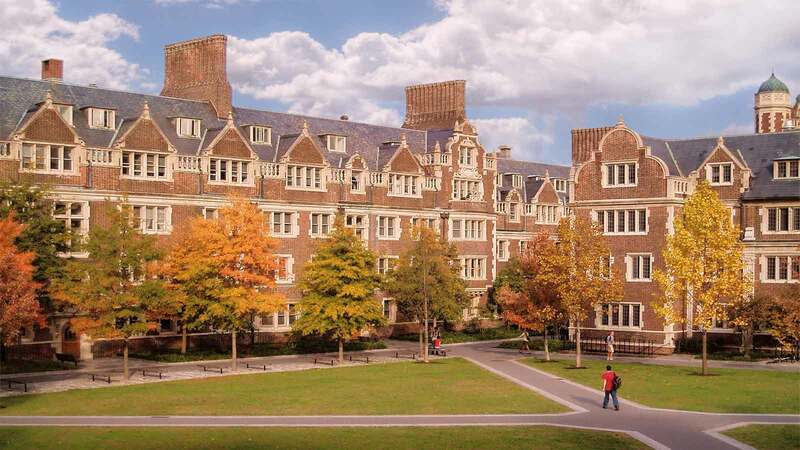 Getting IN by Standing OUT: The New Rules for Admission to America’s Best Colleges. by Dr. Deborah Bedor, renowned college admissions guru to the nation’s top young minds and leaders, and CEO of College Admission Central. 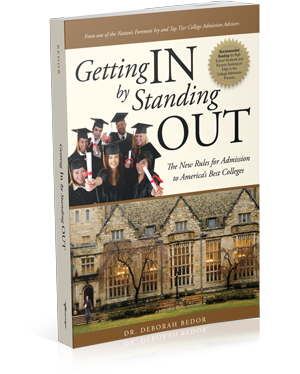 Chapter-by-chapter, through this #1 New Release on Amazon, Dr. Bedor’s wisdom and admission success system show you how to stand out and present an exceptional college application by revealing your authentic self. Published by Advantage Press, the book may be purchased at Amazon, Barnes & Noble, and other major retailers. Stressed About Your College Application? But, for you, it can be a totally different experience. As a client of College Admission Central, you’ll have access to our exclusive College Acceptance Success System™. 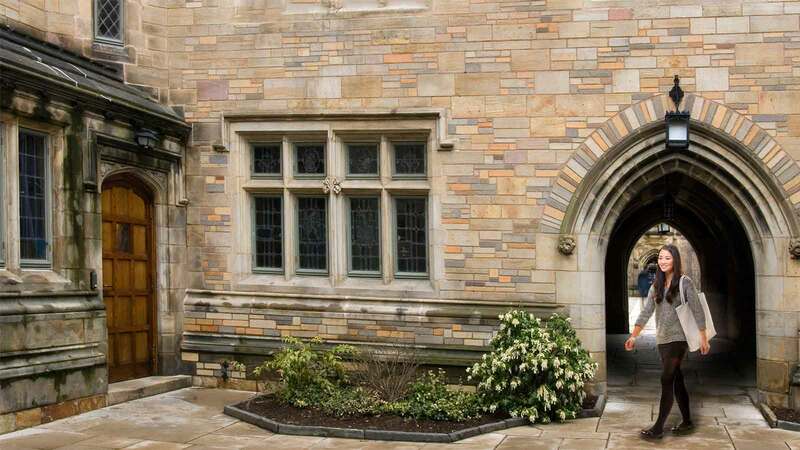 You'll know exactly what to do (and NOT do) to get accepted at competitive universities. You'll be in control of the application process. You'll get admissions advice and guidance from caring, hands-on ivy college consultants. The result: much less stress, greater clarity, and the confidence that comes from working with true professionals. 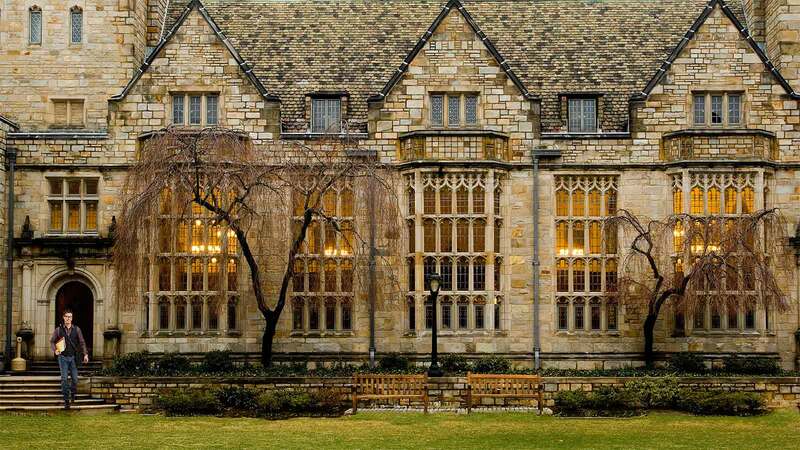 Some families pay up to $25,000 a year to elite private admission consultants (like College Admission Central's CEO, who for 25 years has guided every client to acceptance at one of their top 3 schools). what if there was a way for you to get most of the benefit of working privately with a top coach for a tiny fraction of the cost? Well, there is. The savings comes from intelligently combining technology—mobile & web apps, proprietary databases, video, and multimedia tools—with the irreplaceable human element. Only College Admission Central has perfected this approach, all based on our CEO's ivy and top tier acceptance strategies. Our College Acceptance Success System delivers everything you need for a winning application, on demand, for pennies on the dollar compared to consultant rates. AdmissionMap™ Gives you a step-by-step winning acceptance game plan and strategy. Modules cover high school course advice, test strategies, target college selection, big ideas for leadership opportunities, developing your talents, and more. EssaySuite™ is a total system to brainstorm, craft, polish, and organize your essays. Includes exclusive sample essay critiques by AP English teachers and admission experts. ResuMotiv™ Creates and presents your eye-catching multimedia résumé. Conveys your personal story and accomplishments VISUALLY in a beautiful, professional format to impress admission officers and scholarship committees. Not sure you’ve got the grades for college? Think you can't afford college? Looking for great test-optional colleges and universities? We Help Figure it All Out! We have experts that specialize in working with students seeking admission to the most elite schools in the nation. You need to get organized, create your unique resumé, craft stellar essays with a compelling voice, find your uncommon flag, leverage your extra-curriculars, and elevate your application to become the one Admission Officers can't put down. This is what you need to do: prepare for SAT and Subject Tests (given six times a year overseas); research your college choices regarding majors; campus environment; clubs; international community on-campus; contact the international student advisor at these colleges. This is what we'll do: empower and guide you through the difficult U.S. college application process and its challenging essay requirements… to successfully communicate your character, your academic passions, and your reasons for wanting to study in America — with your voice and with your conviction. We'll Help You Reach for that Dream! You need to determine the available support on each campus for students with learning challenges; find which tutorial programs are available; determine how the faculty makes accommodations for different learning styles; and find college scholarships for students with disabilities. We Help Level the Field for You! To win at admission, you need an acceptance coach! We are that academic and application resource. With our team behind you, you'll learn how to prepare for that college athletic coach conversation; evaluate if your athletics will interfere with your academics; determine if you are being considered for a scholarship; create and provide the supplementary materials to help expedite evaluation (e.g. the 5 minute video); and proactive behavior that can best lead to recruitment. We Help You Take it All the Way! You have the talent. Now, your greatest challenge is to effectively showcase yourself and your work to the busy, overworked Admission Officer, Selection Committee, and Dean. Remember, you’re competing against many other very talented artists and performers for a limited number of opportunities. You MUST set yourself apart and get your special abilities recognized by the only people who matter when it comes to your Acceptance. My only problem after working with College Admission Central is that I got into ALL of my Ivy League choices and now I have to choose! …amazing advice and strategizing, creative and brilliant essay guidance, on-demand counseling for important questions that inevitably come up, and very cool technology. Thank you so much for all of your help! This wouldn't have happened without you, and I appreciate your guidance so much. I'm so happy to be a Golden Bear next year, and can't wait for all the adventures to come! When I asked my guidance counselor for help in presenting myself to top colleges and conservatories as a performer-a classical singer-she said ‘Well, I can't help you there.’ I am so lucky to have found College Admission Central which gave me the guidance and tools I needed to set myself apart from a talented applicant pool and present my performance career to my dream school. Thank you so much! College Admission Central exists to serve your interests, providing you with the essential resources and support that’s required to gain acceptance to college. We invite you to join our community today to begin reaping all the benefits.